I've always liked drawing & colouring, so I was pretty excited to see the trend of 'adult colouring books' coming up. I downloaded & printed a few mandalas a few months ago & enjoyed colouring them in. Pulling out the sheaf of printouts after the kids were asleep & then putting them away got everything a little dogeared. It's really nice to have a proper colouring book with everything bound together in one place. 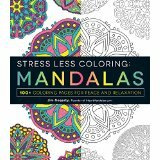 Before I got around to buying myself a colouring book, I was sent two for review: "Stress Less Coloring: Flower Patterns" & "Stress Less Coloring: Mandalas". Both books have more than a hundred pages of beautiful black & white line drawings just waiting to be coloured. I brought the flower patterns book along with the kids' colouring books on our recent trip to the Okanagan to visit Oma & Opa. 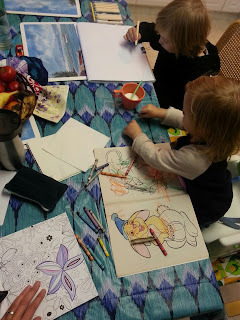 Both kids & I had a long colouring session which, other than Bronte trying to colour all the chairs within reach & eat some of her crayons, was quite relaxing. I've always found it somewhat meditative to colour--I used to doodle all the time when I was in lectures, at meetings, watching TV, hanging out with friends, & even on transit. Focusing on the hues I pick, carefully filling in the tiny spaces between lines in the books is calming in the same way. I'll definitely be filling in the rest of the pages with my pencil crayons, hopefully colouring alongside the kids again--that was fun. 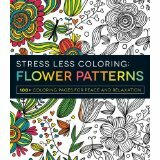 If you'd like to find the Stress Less Coloring books, they're available on Amazon here for about $12-15 (affiliate link). The series includes the floral patterns & mandalas that I have, as well as psychedelic, paisley, animals, geometric, & mosaic patterns too. Disclaimer: I was given the two colouring books to facilitate this review, but was not otherwise compensated. 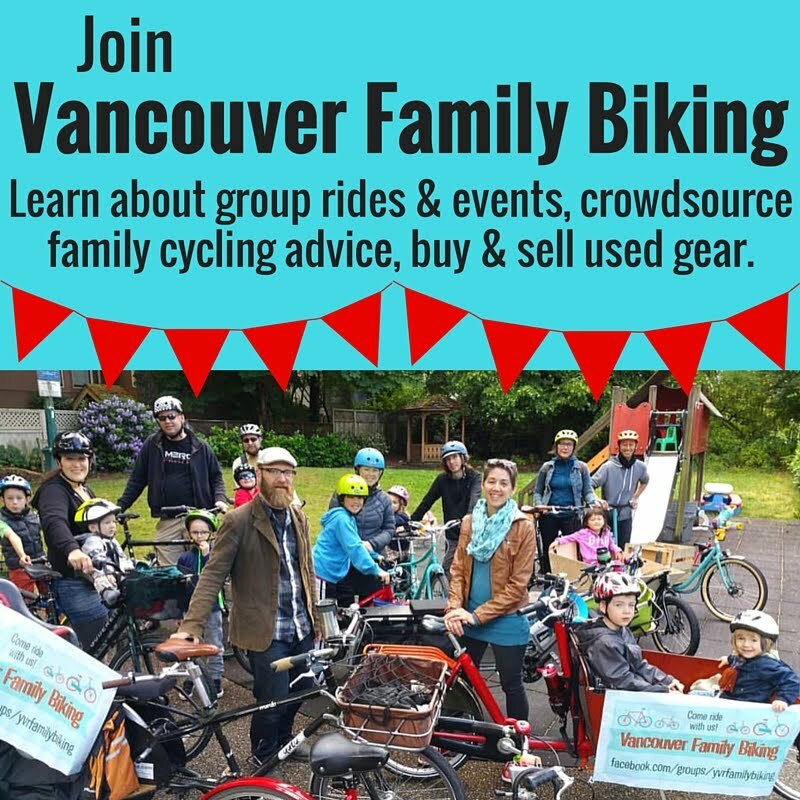 If you purchase one of the books using the above affiliate link on Amazon.ca I will get a small commission--thanks for supporting Spokesmama!